I’m guessing if you’re like most educators, you’ve found some way to professionally develop yourself this summer: a professional read, a workshop, Twitter connections, etc. These are all commendable steps that will benefit kids. However, let’s talk about PD of a different sort–putting yourself in the shoes of a student who struggles. Try something you’ve never done before. Try to learn something you’re not good at. I’ve ran since I was an eighth grader. I am now 37 and it’s been necessary for me to pursue others forms of exercise. Swimming was what I chose for multiple reasons. One of those reasons was because I wasn’t good at it. I knew I wouldn’t pick it up right away. I wanted the challenge. It takes a level of courage to do something you’re not good at in front of someone who is. My coach is a very accomplished swimmer. Every time I show her what I can do, I know I am doing something wrong (and hopefully something right!) I wish I were good and we could just fine tune, but that is not the case. I need one piece of feedback at a time. Something specific and something that I can visibly tell that I am doing correctly. (Hopefully, you hear John Hattie whispering in your ear right there). My coach has told me the steps of where I am going..the end result (yep, success criteria). I don’t think about all of those (see #2 above), but I do know the path. (Hattie, again). I know the struggle in not picking something up quickly. I’ve been an athlete all my life. I will pick up the physical movements easily, but dang if I can’t get the breathing tempo down–that controlled breathing where you exhale under the water and inhale above the water…it is a challenge. I have struggled for three weeks with this and I still struggle. There’s a lot of positive self talk in not letting this get me down. Our kids have the same emotions, the same struggles, and need the same courage when learning in our classrooms. I have more empathy for them now because I have “lived in their shoes.” I have struggled, been frustrated, and wished I were better. I am not good at something, but it is necessary that I continue to try. So, yes, pick up that professional read and get on Twitter. But, also challenge yourself with something new, something you may struggle with. It’s a learning experience I would not have found in any book or Twitter conversation. You know that moment when you’re sitting in grad class or in a workshop and you’re thinking “What in the world is the presenter wanting me to learn here?” Think of the feelings that brings up. Frustration? Annoyance? At that moment, do you have a mindset for learning? Do you think that ever happens to the kids in our classrooms? A fifth grade teacher and I recently took her kids through the process of unwrapping standards and developing learning targets. In the past, this is something that the teachers did to direct their teaching. However, this time, we had the kids unwrap the standard and they developed the learning targets. They developed the path for their learning. So, not only do we have a clear path for teaching, students also have a clear path for learning. Here’s how the process went. 1. We posted the standard and simply allowed the students to tell us what they thought it meant. The standard was Common Core Standard RI 5.9: I can integrate information from several texts on the same topic in order to write or speak about the subject knowledgeably. Discussions included the meaning of integrate and how one knows whether the writer or speaker really knows the subject knowledgeably. 2. The students had never broken down a standard before so we modeled how to do it with the first learning target. The students decided that even before they started integrating the text, they had to annotate the first text to understand it at a deeper level. Thus, our first learning target: I can take notes while reading to get a deeper understanding of the text. 3. Then, we put the students into groups and let them run with it. They decided what the next learning targets were. This was where the ownership in learning began. This is when the path of learning was revealed. How do I comprehend a text? Will I need to determine importance? What graphic organizer should I use? Is there more than one I could use? What about the text structure of the passage? How do I effectively take notes? How do I show that I really know something well? How exactly do you integrate two or more texts? Find a theme, a topic, etc? 4. The class came to a consensus on the targets. Here’s the final targets on our self-reflection and feedback document. 5. The next step was to analyze success criteria, which was also very powerful in laying out the direction of learning. I may expand on this process in a later post. Students were given three students samples of an end-of-the-unit writing applying RI 5.9. After analyzing them against the learning targets, they put them on a continuum rubric. Here’s a picture of that. Highly effective teaching is tough. Deep learning is even tougher. What we have to do in education is work smarter, not harder so that our students can be self-directed learners. Having kids unwrap the standard and develop the learning targets opened the doors to learning. These students now know where they’re going and they are guiding themselves. They’re on the path to learning, not just sitting in a classroom listening to a teacher. The most amazing parts of this process was the deep discussions students led and took part in and the fact that they can very specifically describe where their learning is about to go. A question that has been posed by some teaches is a valid one: How do I make time for this when I have so much to teach? Our answer is “How can you not?” This process will make the teaching and learning more productive because the students developed the path for learning and they know what they’re working towards. As opposed to that frustrated and annoyance feeling we’ve all felt when we have no idea what we’re supposed to be learning. If you doubt this, refer to number 9 and 10 on this site of John Hattie’s work, which is a meta-analysis of over 50,000 studies. It works. So, How DO You Teach Fluency? If you refer to a post I wrote in January ( The Power of Fluency Instruction ) you will see that we discussed the importance of fluency instruction. It is truly a bridge between phonics and comprehension. With 10 years of experience in the classroom, I know all too well that what teachers need is not just theory and rationale, but also practicalities…resources they can actually take and use in their classrooms. With that said, here are some fluency resources to supplement what you are already doing in your reading block. Fluency K-2 Lesson This is a video on fluency instruction at the kindergarten through second grade level. It was posted by the Teacher’s College Reading and Writing Project, led by Lucy Calkins. Fluency lessons This is a document that has easy-to-implement fluency lessons for all levels of readers. Fluency practice outline This is a lesson approach by Timothy Rassinski and Nancy Padak that includes modeled reading, assisted reading, repeated reading, performance reading, word study and home and school involvement. It was put out by the International Reading Association. Fluency Station Resources Here are some books you can purchase through The Literacy Store. They are books you could put in a fluency literacy station. Student fluency rubric This is a student fluency rubric put out by forthegoodofallstudents.blogspot.com. Timothy Raskinski on itunes I would highly suggest these podcasts by Timothy Rasinski put out by Teacher Created Materials. They are concise and help to explain clearly why fluency instruction is crucial. For those of who teach reading, we know that the goal of reading is ultimately comprehension. I would also venture to say that those of us who teach reading comprehension do so using the release of responsibility approach, where there is first ample modeling, followed by shared reading (where the students and the teacher think together), and then finally interactive or independent reading (where students have the opportunity to practice a reading strategy on their own). The question for us today is to what level do we teach comprehension? Do you expect children of all ages to read at a deep level (of course, a deep level that is determined by their cognitive abilities)? This means there are different levels of comprehension even at the kindergarten level, and without a doubt at grade levels above kindergarten. Do you have an awareness or a deep understanding of what different levels of comprehension look like at your grade level. And if you do not, do not feel bad. Teaching reading effectively is tough work and there is always more to learn (and only so much time in the PD schedule districts have). If you are needing more knowledge on the different levels of comprehension, consider using these rubrics: http://www.readinglady.com/mosaic/tools/Strategy%20Rubrics.pdf (Thanks to the Reading Lady website for providing this to teachers). 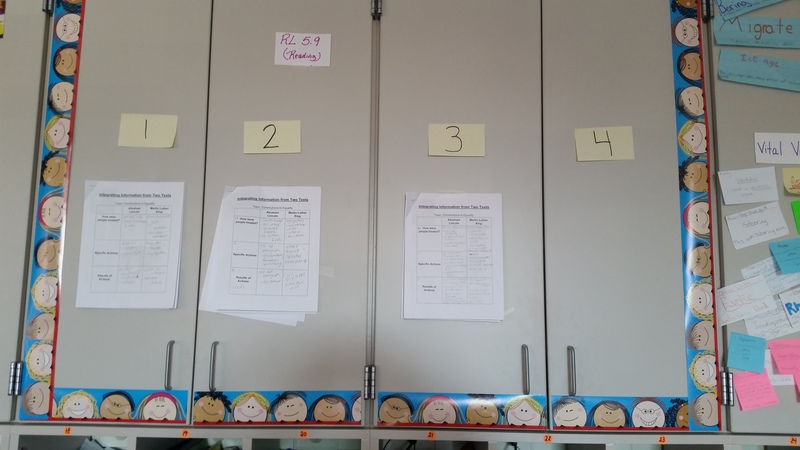 These are strategy rubrics for grade levels K/1, 2/3, and 4/5. I have used these rubrics as I model effective small-group and whole-group reading instruction. It is also good practice to put this rubric in front of your students. Teach THEM what surface level and deep level comprehension is. And remember, the method by which a teacher teaches comprehension (mechanically or strategically) is important in ensuring the effectiveness of comprehension instruction (Taylor, Pearson, Peterson, and Rodriguez, 2003). So, go forth and take your comprehension instruction to another level! One of the challenges with professional development and improved instruction is there is an ever-present environment of new ideas. While most teaching accept the fact that education is ever-changing, and it should for the most part, it does make it hard to focus in on high-yield instructional strategies when there is always the “latest and greatest” strategy. So, what’s the answer to this challenge; it is simple, work smarter, not harder. A few years ago I took part in a consortium with Debra Pickering, who is a part of the Marzano Research Laboratory. As a part of this consortium, we had to conduct an action research on one of Robert Marzano’s nine high-leverage instructional strategies. I chose the strategy of setting objectives, because this one caused the most doubt in my mind about how much it could really improve student achievement. Prior to this action research, I obviously set objectives for my class—while writing my lesson plans, but I do not think I effectively shared those objectives with the class. They were shared, just not in a clear and focused manner. After conducting the action research with a fifth-grade unit on early American settlements, my doubt of the effectiveness of this strategy was diminished. I was pleasantly surprised about how much more focused the students were. There are so many tangents one can go off on when teaching American history (especially when you have a passion for it as I do), but setting objectives at the beginning of each lesson and re-visiting them at the end of each lesson not only made learning intentions clear to students, it helped me keep my instruction focused where it needed to be. There was a clear difference in test scores with my experimental group as compared to my control group. It is now a few years later and I am reading John Hattie’s Visible Learning. First of all, I highly recommend this book for any teacher who is wanting to step up their game. Hattie’s book is a meta-analyses of meta-analyses, which basically means he compared results of thousands of studies. He expands on the importance of learning intentions (ie setting objectives). Teacher clarity is tenth on his list of top strategies/approach to education that has the highest affect on student achievement. While reading this book, I realized that I had lost sight of this since doing my action research. So, I have refocused my efforts on making learning intentions clear to my students (and myself!) and, it is no surprise, that our learning is once again more focused and students seem more appreciative that they are not overwhelmed with trying to master every bit of information I throw at them. The bigger lesson learned for me and the lesson I hope you take away from this: the key to professional development is not always learning more (aka doing more), it is working smarter. Education is, and should be constantly changing, but there are research-based strategies that have been proven time and again to be effective. Focus on those strategies as opposed to the newest latest and greatest strategies that promise to transform your teaching. What is the difference between a highly effective teacher and one that simply gets the job done? I would venture it has a lot to do with whether one chooses to use the following phrase or not: “I know I should, but…” Teaching is hard. Being highly effective is even more challenging. As teachers, we must ask ourselves, what is going to make the difference for our students? What attitudes and behaviors do I have that positively or negatively affects students? Let me preface this by saying again, the demands on teachers is enormous and there are structural challenges that makes our job even harder, such as the out-of-date traditional schedule of having summers off. There are a multitude of other factors that make teaching hard that we all are well aware of. But, a highly effective teacher must instead focus on what can we do that makes a difference. We live in an age where information and research is ever-present and, quite honestly, must be used if we want to be the best we can be for our students. However, with all the demands of teaching, it may be easier to let oneself utter the words “I know I should, but…” For example, I know I should read about effective practice, but I don’t have time. Or, I know I should use formative assessment and differentiate my instruction, but I can only do so much. The secret, I believe, is to make one small step at a time, instead of letting ourselves be less than who we can be. For example, for one that says they don’t have time to read. Can one choose to read just one professional book a year, reading just a few minutes each day? The answer is yes. The challenge is to recognize this is a choice. The more I read about leadership, successful practices in life and work, and about managing life, instead of it managing you, is that you control your priorities and schedule more than you realize. Another example would be formative assessment. How does one build continual formative assessment into their schedule and not significant cut time out of their schedule? Could the answer not be as simple as an exit slip? Can it not be as simple as saying I will use more thumbs up, thumbs in the middle or thumbs down? Can it not be as simple as saying twice a week, for five minutes I will evaluate the progress of my students’ learning? The biggest point here is that yes, teaching (and especially highly effective teaching) is difficult. But, sometimes, not as difficult as we make it. My response to myself when I find myself occasionally saying “I know I should, but… is that how could I NOT find time to do a strategy that has been proven to work with students across the country, and sometimes across the world? The answer is not to completely overhaul your classroom or immerse yourself in education research and then try to implement it to the point that it stresses you out and burns you out. The answer is to choose one small way you can tweak your classroom. Sometimes, the smallest changes can make a difference. Don’t let yourself say “I know I should, but…” Our children deserve better.